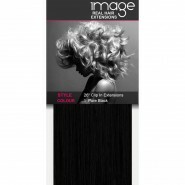 Our range of Black clip in hair extensions are perfect for girls with jet black hair who are looking to add some length and volume. Simply by clipping in a set of our black hair extensions you can quickly and effortlessly achieve the long, luxurious hairstyles you have always dreamed of. Who say's that blondes have more fun? 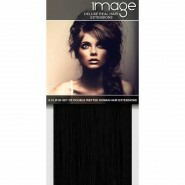 At IMAGE we love the dark side, so what are you waiting for, grab yourself a set of our pure black clip in extensions and let your hair down!